UDS-Q in Oakland Day 3 and SF Tourism! Day 3! The plenaries from Tuesday are up now, see here. The flavors talks start at about 30 minutes into it with Kubuntu, then my Xubuntu bit and on from there. We talked some about Ubuntu Membership with regard to expectations, members not being siloed in their communities, and better documenting expectations for members as they cross into new communities within Ubuntu. There was also some discussion about some of the hardware (and other) reveals with Canonical partners that the community is not involved with, how to improve culture on both sides so that Canonical can protect relationships with clients and the community won’t be so troubled by Canonical not disclosing everything. Reviewed some of the improvements in multi-monitor support in precise, bug fixing (some of which are xorg and kernel fixes that all window managers benefit from, not just Unity), and features like the option of having launchers available on both screens. The Unity Multi-Monitor interactions toolkit is available here, including the Multiple Monitors UX Specification, Phase 1, which was used during the session. Went through sections on booting up, a proposed “presentation mode” where notify-osd does not activate (embarrassing or distracting notifications!) and power-saving isn’t enabled (display going blank during inactivity), laptop docking behavior, face lift of System Settings-Display Preferences, improvements to proper display focus, and more. Premise of the session: “We want to be able to use Ubuntu in an environment where it’s currently a small player and we believe a relatively small effort could grease the wheels significantly.” Currently there is not much Exchange calendaring support in Mozilla Lightning, there is some more in Evolution but it’s not all that reliable and doesn’t work in all instances (requires Exchange webmail option to be enabled). Simplifying authenticating against various types of LDAP-based implementations with different security profiles. Discussed management of keys for encrypted filesystems (so IT staff can hold encryption keys for systems they deploy so they can recover user systems in cases of password losses, diagnostics and such). Actual management of systems can be done with CFEngine or Puppet, but no great tools for machine inventory: packages installed, hardware details, users logged in (Landscape offers some of these, but it’s proprietary and Canonical-managed). Touched upon the issue of Windows or Mac-specific applications, but it’s not a problem that can easily be solved in the short term. Wrapped up by talking about Office formats integration, LibreOffice is fine for some users, but many are very closely tied to Microsoft Office specifically. The idea of this session is ways to more proactively reach out to application developers to get their applications into Ubuntu. One group is collecting a list of interesting applications and contacting the authors to see about getting them to package and submit it to Ubuntu. It was pointed out that personal contact is key for getting responses, automated emails or form mails don’t typically illicit replies. Also might want to go to gaming and programming conferences with fliers that have been proposed, which probably should point developers to developer.ubuntu.com/publish. The session wrapped up with brainstorming of suggestions of where else to look for potential applications. First up for the plenaries was Rich Hilleman from Electronic Arts. He opened by discussing how the gaming environment has changed over the past 5 years, focusing on being more mobile, social and free apps that people pay for “on the way out” rather than “on the way in.” They are platform agnostic by developing for various platforms and have been discussing with Canonical how to release on specific hardware configurations on Ubuntu. Noted that they have open sourced some of their older codebases like Sim City back in 2008 (released as Micropolis). Next up was Vin Sharma of the Open Source Technology Center at Intel. Intel contributes both code and money on upstream upstream projects. Sharma’s work is also focused on downstreams like Ubuntu. Discussed some of the interests and requirements of Cloud vendors and customers and are seeking to fulfill some of those resource implementations with OpenStack. MyApps is the webapp the Application Review Board uses to track application submissions and this session is reviewing how that’s working and what improvements could be made. There was discussion about teams with review permissions and allowing flexibility of sources on the PPA upload user interface. Reviewed some existing bugs in the developer registration portal to assess priority. We want to keep the concrete plans somewhat simple due to low number of developers for the portal this cycle. Discussed possible redirection of users using GeoIP, but there have been very mixed results in accuracy. Proposed creating a “planet like” feed of blog posts by LoCo members which can be managed by team admins. We quickly reviewed the front page and decided to put out a survey to LoCo teams to see what they may find useful. Wrapped up by finding a few more volunteers in the room who may be able to help with development. 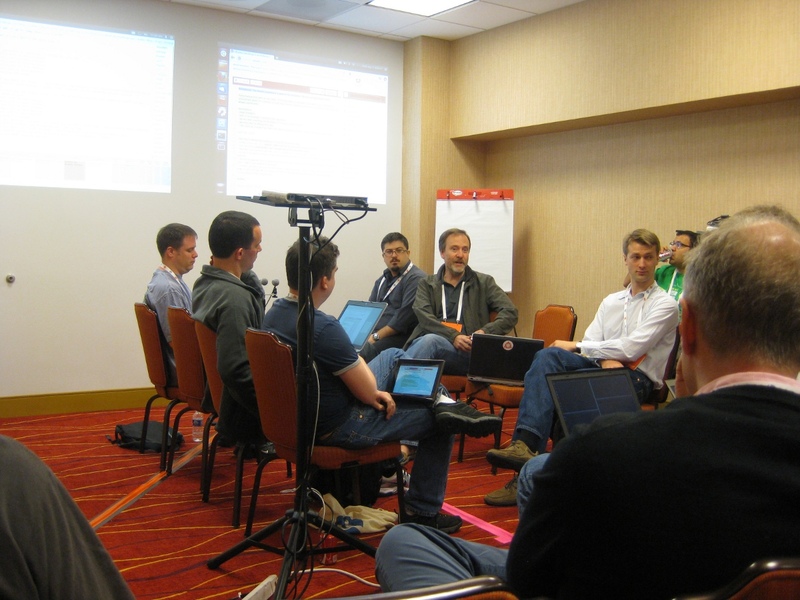 There are a lot of QA teams (see here), so the discussion centered around how they could best collaborate, it was generally felt that administrators of the QA teams may find value in all project meetings a couple times a cycle, rather than seeking to create more teams or consolidate diverse teams. There was also the topic of giving feedback and recognizing contributions and avoiding burnout. There was an item to see about collecting data from trackers about who is doing what to give to team leads so they can handle recognition of their team members. The session wrapped up by talking about non-desktop testing, with focus on servers and hardware. That wrapped things up for the day, and it was on to the evening activities! I planned an evening of San Francisco Tourism and met about 30 people in the hotel lobby at 6:30PM and passed out handouts detailing the plans for the night. James Tatum was kind enough to offer help for the evening as another local and so together we managed to get tickets for everyone and on to BART and over to San Francisco. The tour started at Ferry Building where we were able to walk around the pier and get photos of the Bay Bridge and check out the ferries. 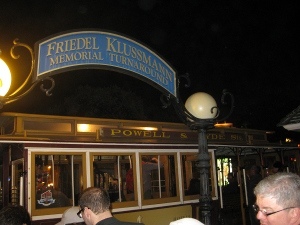 From there it was on to a street car which we all managed to fit in and head up to Pier 39 where about half the group went their own way to explore and get dinner. We took the other half of the group down the pier to see Alcatraz Island, the very distant Golden Gate Bridge and the sea lions. 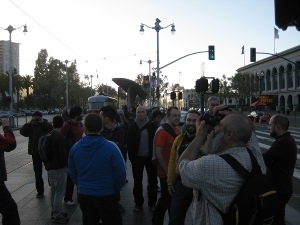 We then walked up to Fisherman’s Wharf for dinner at Boudin. 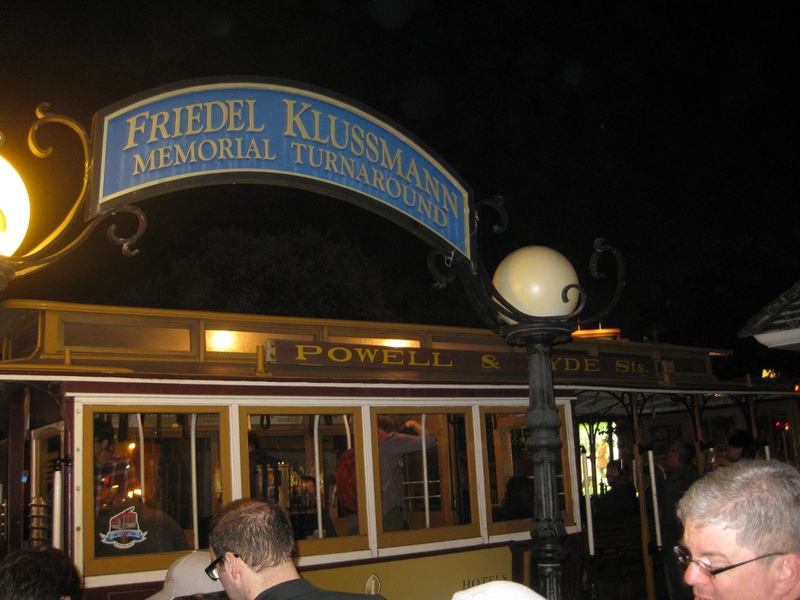 Our dinner ran a bit late so I skipped down to the Fisherman’s Wharf sign at 9:30 to tell those gathered there that we would be running a bit late and encouraged them to head up to Ghirardelli Square for some ice cream while we finished up. We all managed to finally meet up at the cable car turnaround across the street from the Buena Vista Cafe for a ride to Powell station. James ended up taking most of the group on one cable car as the 6 or so of us remaining caught the next one. We all met at Powell station and hopped on BART, I got off at Montgomery station while everyone else headed back to the hotel. In all, quite a fun evening, it was great to have so many people come out! 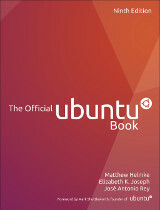 This entry was posted on Thursday, May 10th, 2012 at 1:45 am and is filed under events, tech, ubuntu planet, UDS. You can follow any responses to this entry through the RSS 2.0 feed. Both comments and pings are currently closed.